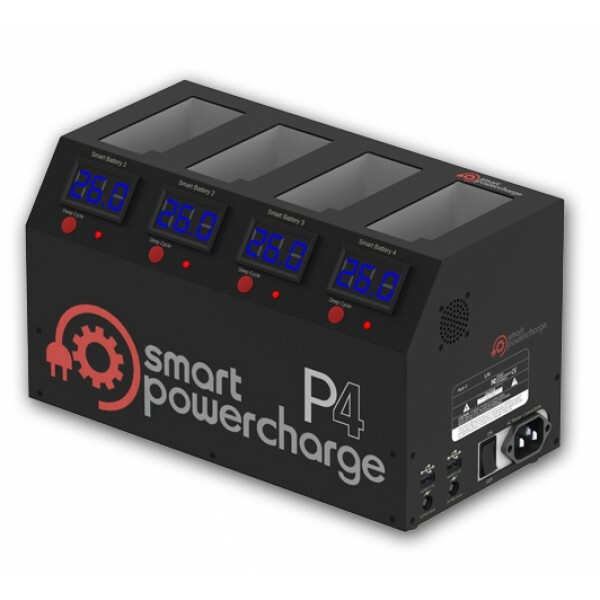 The SPC P4 is a high quality charger capable of charging or deep cycling 4 DJI Smart Batteries simultaneously, 2 USB devices such as your iPhone, iPads, Androids or any other USB device and 2 DJI remote controls (via 2 charging ports on the end of device), all at the same time. When using the optional Osmo P4 battery cable from DJI, you can charge 6 x Phantom 4 batteries simultaneously on the SPCP4 by using the two RC ports. Unique to the SPC P4 is the deep cycle function. This is an important feature to ensure the optimum health for the DJI's smart battery. Deep cycle should be done every 10 cycles as per DJI's recommendation. You can even DEEP CYCLE selected batteries while charging others. To activate deep cycle mode - fly your battery to 25% or less, turn ON your battery, insert into a slot, press the red cycling button, you are done. The discharge is set to 8%. After the battery reaches 8%, the system will automatically charge the battery to full capacity. Storage mode is included to allow easy and simple charge or discharge to storage level. Regardless of you battery's level and percentage, simply press and hold the red button on the bay for 5 secs until it start to flash. Turn on your battery, insert into the activated port and the SPCP4 will either charge or discharge your battery to storage level. 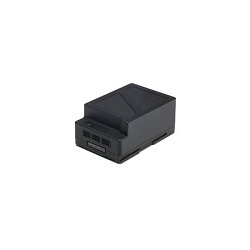 The SPC P4 charger is FirmWare updatable to keep abreast with DJI's battery FW. Simply use the indicated USB port for future FW updates. Made to strict FCC and CE standards, the SPC P4 is build to last the life of your Phantom 4 and to provide many years of trouble free service. 1. 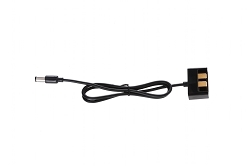 Charge 4 Batteries Simultaneously (Up to 6 when used with the DJI i1 RC Cable) 2. 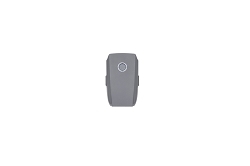 Charge 2 REMOTE CONTROLS at same time with batteries. 3. Charge 2 USB devices such as your iPAD or iPhone, Go Pro etc or both with batteries and remotes all simultaneously. (8 devices charging at the same time) 4. 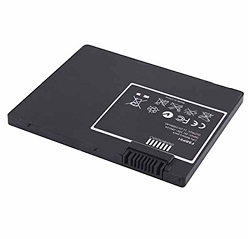 Deep cycle and condition your batteries according to DJI recommendation 5. Auto charge your batteries after DEEP CYCLE MODE. 5. Auto charge your batteries after DEEP CYCLE MODE.